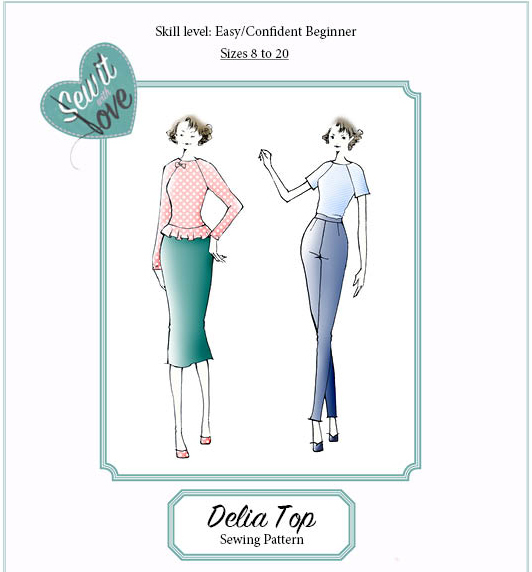 The Delia top is an easy, semi-fitted ‘raglan sleeve’ top designed with comfort and style in mind, suitable for confident beginners through to experienced dressmakers. 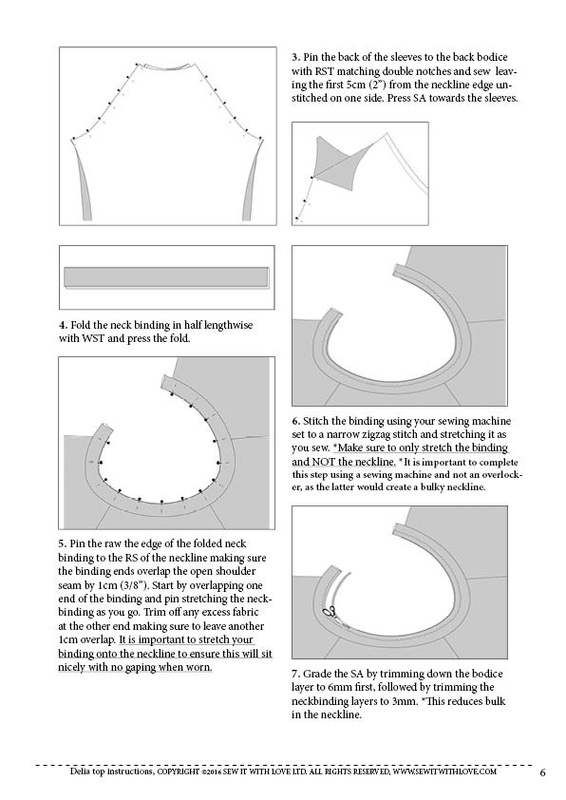 It works equally well in a variety of knit fabrics and can be sewn on an overlocker (serger), or entirely on a sewing machine. Go all out girly with a peplum and bow version or keep it simpler and more casual with a plain version. The choice is yours! In order to download the files you will need Adobe Reader . This can be downloaded for free here. 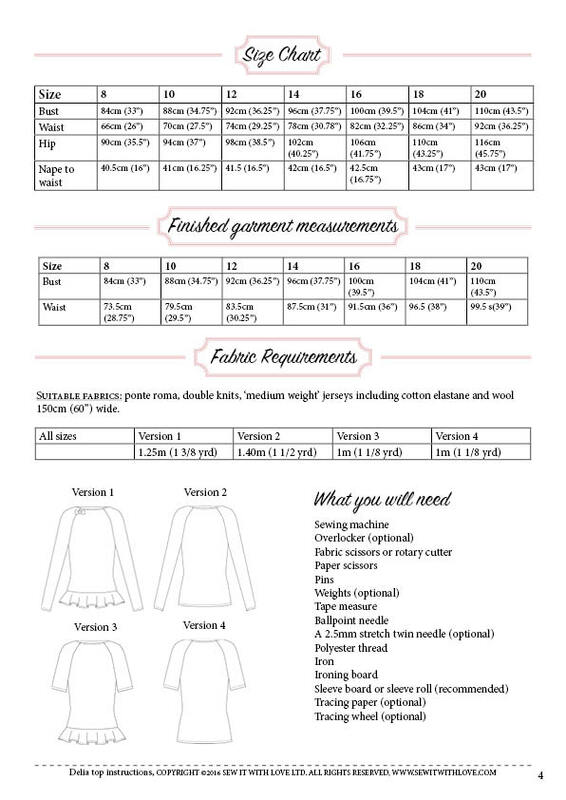 Both patterns must be printed at 100% scale. We strongly recommend you download and read the instructions first before proceeding to downloading the tiled pattern or taking it to a copy shop. 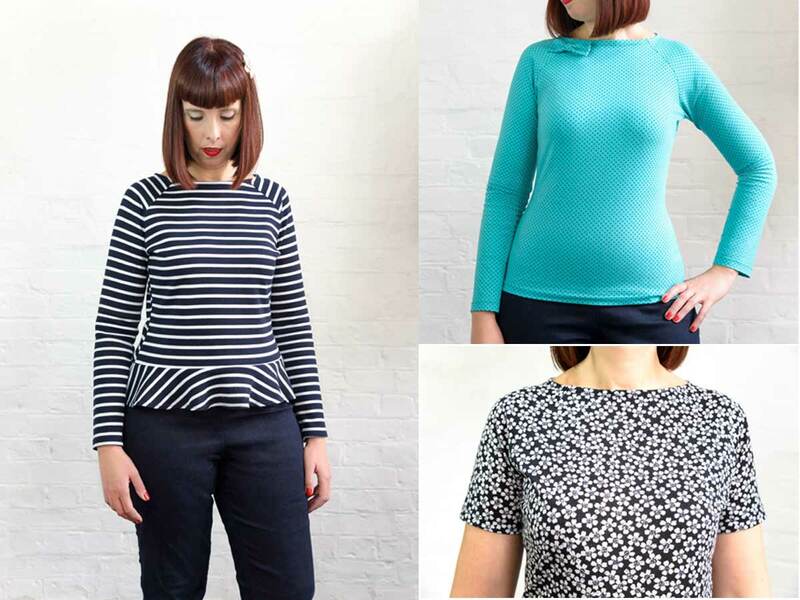 SUITABLE FABRICS: ponte roma, double knits, ‘medium weight’ jerseys including cotton elastane and wool 150cm (60”) wide. 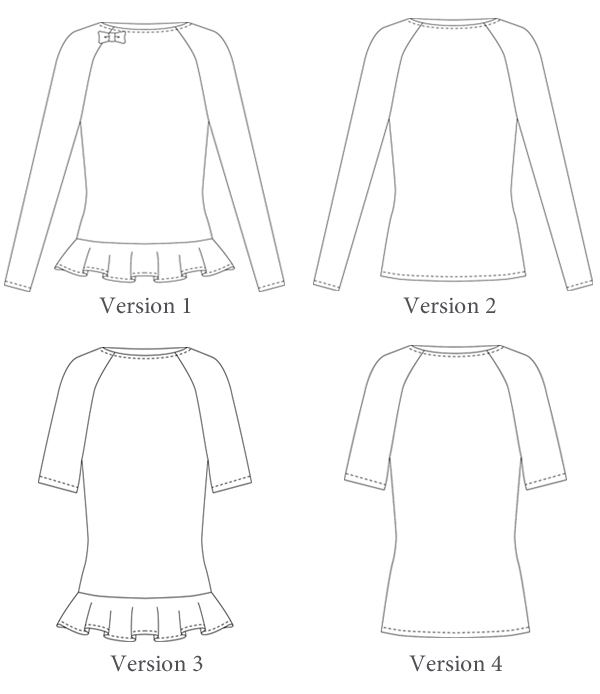 Fabric quantities: Version 1- 1.25m (1 3/8 yrd), Version 2- 1.40m (1 1/2 yrd), Version 3- 1m (1 1/8 yrd), Version 4- 1m (1 1/8 yrd).